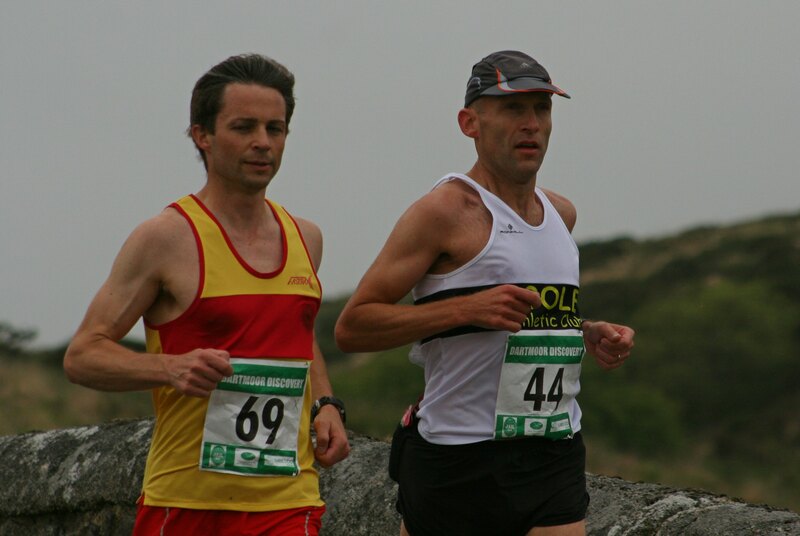 TORBAY’S Simon Longthorpe claimed victory in the popular Dartmoor Discovery ultra-marathon on Saturday. Newcomer Longthorpe completed the 32-mile undulating course in a time of three hours, 48 minutes and one second. The 38-year-old was more than eight minutes ahead of second-placed runner Michael Robinson of Mud Crew, who came home in 3:56.23. Marshall Milton Keynes Athletic Club’s Gary Blaber was third and first over-40 in a time of 4:02.15. Avon Valley’s Holly Rush, another newcomer, was fourth overall and first women in a quick time of 4:03.15. That was just 39 seconds off the course record that has stood for eight years. Torbay’s Naomi Flanagan was second female home in 4:16.04, with Mud Crew’s Isobel Wykes third in 4:199.38. Some 250 runners started the tough race, with 195 finishing within the allocated time. The run starts and finishes at Princetown and takes competitors through Dartmeet, Poundsgate, Newbridge, Ashburton, Buckland-in-the-Moor, Widecombe-in-the-Moor and Postbridge. The event, which attracted a waiting list due to its popularity, drew runners from around the county, with local clubs Plymouth Harriers, Plymouth Musketeers, Tamar Trotters, Plymstock Road Runners, Erme Valley Harriers, Bere Alton, Tavistock and Plymouth Storm also represented. Host club Teignbridge Trotters won the men’s team award, while Mud Crew claimed the women’s team prize, with Plymouth Tri Club’s Jan Walpole first female over-45.